I-164: In Aug 1968 the CTB agreed to request additional interstate mileage from the 1000 new miles Congress had made available. One of the five corridors Virginia requested was today's VA 164 west of US 58. The request was denied and Virginia built the freeway as VA 164 instead. 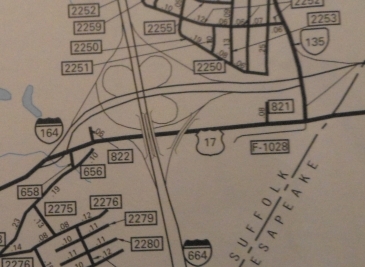 No official map showed this as I-164 at any time and the first explicit reference to a route number for this freeway was in 1971 as VA 164.